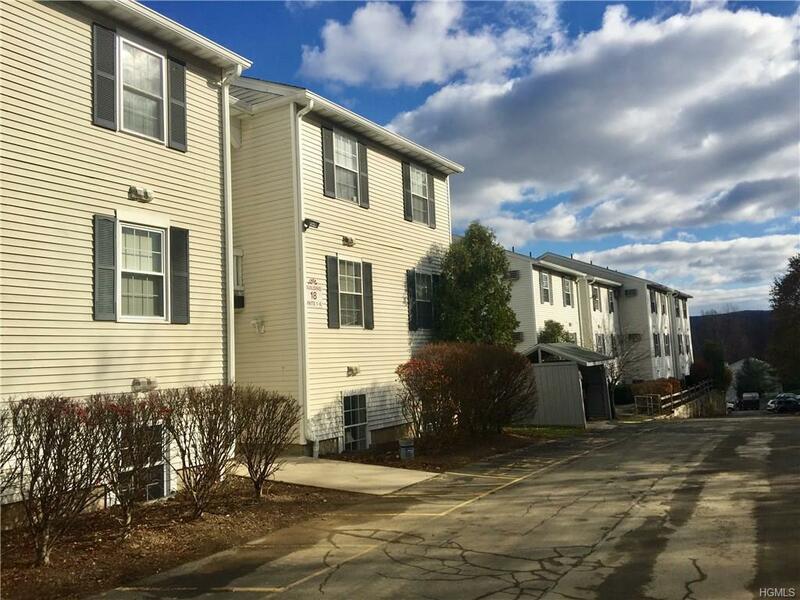 Spacious and affordable 2 BR condo with updated kitchen - new granite countertops, tile backsplash and stainless steel appliances. First level offers convenience and spacious outdoor patio area with scenic views of Harriman State Park mountains on the horizon.Wood burning fireplace has also been updated with tile hearth and new mantle.Large master bedroom has walk in closet and master bathroom with bathtub. Listing courtesy of Susan M Onderdonk of Bhg Rand Realty.